As the DJ Manager for Paradox Productions the question, “how much should I plan to spend on my DJ?” was literally the number one question I was asked. Since relinquishing my manager title to focus entirely on coordination, this is still one of the most frequent questions I am posed. Clearly it is time to put pen to paper… Or ﬁngers to keys to help ya’ll make sense of the madness. $200 – $600: The novice. At the beginning of a what will hopefully be a budding career. He does weddings a couple of times a year and doesn’t own much equipment. Most often you will ﬁnd that these DJ’s advertise on Craigslist as their ﬁrst attempt at growing a business. $650 – $950: This DJ is a few years in now. He’s getting better, starting to buy more equipment and learns something new at every event. He is most often better at one aspect of his job than another, i.e. a better DJ than emcee or vice versa. He is still a part time DJ, supplementing with either a full time job, or DJ’ing in clubs. $1000 – $1400: This is a pretty solid DJ. Most likely he does weddings full time only during wedding season, but has another job or works for a DJ company. He is slowly adding higher quality gear and becoming a more well rounded DJ. $1450 and up: This is your professional DJ. This is all he does. He most likely owns his own DJ business, employs DJ’s and works weddings year round. He specializes in hosting any type of event, and can read your dance ﬂoor like a book. He owns all top of the line sound and lighting equipment, and shows up to every event with back up gear in case of emergencies. He has your timeline, your request list, your ceremony music, your ﬁrst dance and so on all prepared weeks before your event. If you have a very limited budget can only allocate $600 or less to your DJ budget, then you need to be very speciﬁc with your expectations to the DJ you hire… All the while, keeping in mind that you can’t ask much of him. He’s still learning. Don’t expect him to emcee and throw an incredible dance party, he’s not there yet. Maybe consider having him just play for a couple hours at the end of the night. I would lump this DJ into the buyer beware category. If you fall somewhere in the $650 – $950 range, you’re in a bit better shape. However some of the same cautions listed for the previous category remain, like be very speciﬁc while not expecting too much. Remember, even if he is a career DJ, this price point for special events means he’s not well versed in weddings. To DJ weddings well, you have to do them often. This DJ is fully capable of playing music for you, taking requests and maybe even making some announcements, but limit your expectations to just that, nothing more. If you’re working with $1000 – $1400 you’re getting there. This DJ has now worked multiple wedding seasons, and is starting to book during the slow season as he’s beginning to make a name for himself. He is starting to acquire better gear, which means better service for you, and has learned to come prepared for the unexpected. His emcee skills are much improved, meaning he can be trusted to make announcements and play music all night with no issues. If you can allocate $1500 or more for your wedding DJ, you’re golden. This DJ is the top of the line. Why is that so important? Hmmmm…. Who’s going to have the mic all night? Who’s going to make sure transition between cake cutting and ﬁrst dance, and every other transition are seamless? Who’s going to be announcing you and your man as newlyweds for the ﬁrst time to a room full of family and friends? Who’s gonna get those guests up off their toosh and onto the dance ﬂoor with you? It’s a big deal. The role of the DJ is entirely underrated. 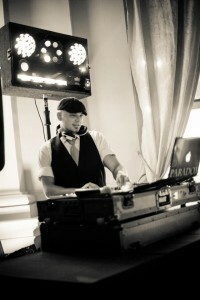 As a coordinator, I can tell you that your DJ can and will make or break your wedding. 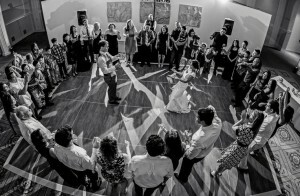 Research shows that the number one thing guests remember about weddings they attend is how fun they were, or weren’t. The food can be succulent, the decor can be amazing, you can look like a supermodel, but if your guests are bored out of their minds, or forced to sit through some awkward, nervous just plain weird announcements made by a less than average DJ, your screwed… Their experience, and yours is ruined! Not to mention all the beneﬁts that I listed above. Really, it’s a no brainer. All things considered, here’s what I suggest if you are not one of the lucky ones who have already budgeted for a $1500 plus wedding DJ. Ready for it??? It’s that important. If you really think about it, I mean really think, you’ll realize how little sense it makes to budget $8,000 for food and only $800 for your DJ. Yes the food has to be good, but if your DJ is bad, no one will remember the food anyway… They’ll only remember how bad the DJ was! You cannot seriously go out and taste every wedding delicacy in town, try on insane amounts of dresses, hand make every trinket to indulge your guests senses in the love you and your man have for each other only to hand the biggest day of your life over to someone you can’t trust to pull it all off. If all the hard work you put into your wedding day is marred by the memories of how bad it turned out, then you ofﬁcially just wasted a year of your life. You know it’s true, we’ve all heard the stories. But hey like they used to say on Reading Rainbow, “don’t take my word for it” just go type “bad wedding DJ” into google and see what you get. 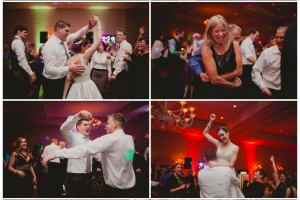 The DJ should not be the last thing on the checklist… It should be one of the ﬁrst, because the ones you can trust your wedding with book up fast. Oh, and BTW… If your bothers, Uncle’s, cousins, sisters’ co-worker is a DJ, and offers to do your wedding for cheap, ruuuuuun Forest, run!! There’s a reason I didn’t even address this jokester. Your wedding is too important for that kind of nonsense. Long story not so short, it may take a few hours or days to ﬁgure out what areas of the budget you’re going to cut from to make sure your wedding will be in the hands of a PROFESSIONAL DJ, but I promise you my dear, it will be worth it. You will thank me later.